EZVIZ, Inc. and its affiliates (collectively “EZVIZ”) provide the following services for use in conjunction with various EZVIZ Internet-connected products (“Products”): (1) a EZVIZ user website and user accounts that may be accessed at www.ezvizlife.com, and all associated sites connected with www.ezvizlife.com, excluding any third parties’ sites (the “Website”); (2) online services accessible through the Website (“Web Apps”); (3) software applications that can be downloaded to a mobile device (“Mobile Apps”); and (4) any services available on the Website, Web Apps and Mobile Apps, including paid subscriptions to EZVIZ’s cloud storage services and other paid features (“Available Services”). The term “EZVIZ Services” means the Website, Web Apps, Mobile Apps, and Available Services. In order to provide EZVIZ services to you, we will ask you to provide personal information that is necessary to provide those services to you. If you do not provide your personal information, we may not be able to provide you with our products or services. “Personal information” shall have the same meaning as “personal data” and shall include any information relating to an identified or identifiable natural person ('data subject'); an identifiable person is one who can be identified, directly or indirectly, in particular by reference to an identification number or to one or more factors specific to his physical, physiological, mental, economic, cultural or social identity. Examples of personal information include your name, telephone number, email address, physical address, and payment information. Personal information also includes information that alone cannot directly identify you, but with other information we have access to can identify you, such as product serial numbers, log data that automatically records information about your visit, such as your browser type, domains, page views, the URL of the page that referred you, the URL of the page you next visit, your IP address, and page navigation, unique device ID collected from Products and your mobile devices, data from cookies, pixel tags, and web beacons, video content files that do not contain personal visual identity information, the country and time zone of the connected Product, geo-location, mobile phone carrier identification, and device software platform and firmware information. 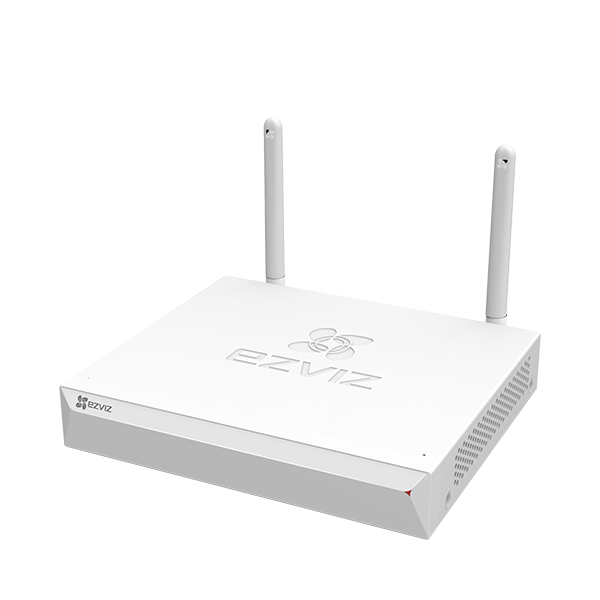 §Communicating with you about EZVIZ Services, your Product, or addressing any general queries, such as updates, customer support. §Analyzing and developing statistical information about the use of EZVIZ Services to better improve EZVIZ Services. §Providing marketing materials relating to products and services of EZVIZ to you, only after we obtain your prior express consent and a clear affirmative action or indication of no objection in accordance with local data protection laws. You have the right to opt out of our proposed use of your personal information for this marketing purpose. §When you create your account to use EZVIZ Services (“Account”), we will collect information including your name, phone number and email address. 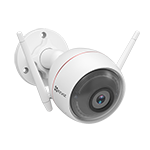 In addition, when you install and activate Products, we will collect certain basic information via our EZVIZ Services, such as your product name, the product’s verification code, and serial number, which are unique to the Product connected to the EZVIZ Services and associated with your Account. §When you subscribe for Available Services, we will collect your payment information, such as a credit card number, account security code, name, email address, phone number, and any other information necessary to complete the transaction and provide the Available Services to you. Your personal information will be saved as your user profile in your Account, including payment information for recurring charges. §When you save and share content through EZVIZ Services, like video clips, live video streams, images, captions, and comments (“Your Content”), for other individuals to access, we will collect information to allow you to save and share Your Content, such as your email address and email address of the person you elect to share your content with. §Through our EZVIZ Services, you may be able to invite other people such as friends or family to use EZVIZ Services and download our mobile app. We collect that person's email address to automatically send an email invitation on your behalf. We collect this information to send this email, to register your friend or family member if your invitation is accepted, and to track the success of our invitation services. In order to refer a friend, you must first obtain the consent from the person being referred to provide information on their behalf and inform them that they will be receiving a communication from EZVIZ. §When you connect or link to our EZVIZ Services via social networking sites, including by sharing Your Content with friends via your social networking account, such as Facebook, we collect your profile information from your social networking account. For information on what information is shared with us, please review the privacy settings in your social media account or the permission screen presented at the time of connection. §When you respond to our e-mails, contact our customer service, or use other customer support tools, we collect your information to provide you with support, verify your identity with your Account profile information, and confirm your Product. §When you access our EZVIZ Services, we will collect information to provide you with a more relevant experience, to prevent misuse, and to ensure that our EZVIZ Services are working properly. We may also record adjustments you make to our Products through the EZVIZ Services. We store this information along with data collected directly by your Product. If you have questions about the security and privacy settings of your mobile device, please refer to instructions from your mobile service provider or the manufacturer of your device to learn how to adjust your settings. §When you save and share Your Content through EZVIZ Services for other individuals to access, we will collect information to allow you to save and share Your Content. §Our EZVIZ Services may also contain links to other websites operated by third parties and may include social media features such as Facebook and Twitter buttons (such as “Like,” “Tweet” or “Pin”). We record your interaction with these links. §When you use the Product’s recording or streaming features, we may record and process video and/or audio content from the Product. This may include capturing and emailing to you portions of this data as part of a notification or analyzing the data to identify motion or other events. We may process information from your Product so that we can send you alerts when something happens. In addition, if you have the recording features enabled, we will capture, process and retain video and audio data recordings from your device for the duration of your recording subscription period. We may also engage one or more third party service providers to serve online advertisements on our behalf via EZVIZ Services. They may use a pixel tag or other similar technology to collect information about your visits to sites, and they may use that information to target advertisements for our Products and EZVIZ Services. For more information regarding this practice and to opt-out of such collection and use of this information by our third party service providers, please see www.networkadvertising.org. We may also provide information to third-parties if we believe in good faith that we are required by mandatory law to do so. For example, to comply with legal orders and government requests; response to a subpoena, or similar legal process, including to law enforcement agencies, regulators, and courts; to protect the interests of our customers and users of the EZVIZ Service; to respond to claims that any content posted or displayed using the EZVIZ Service violates the rights of third parties; in an emergency protect the health and safety of users of the EZVIZ Service or the general public; or to enforce compliance with our Terms of Service. If EZVIZ and/or all or part of our assets are ever sold or transferred, your personal information may be among the items sold or transferred. Under such circumstance, we will notify you by the email address specified in your account or by means of notice on www.ezvizlife.com of (i) the identity and contact information of the purchaser or transferee, (ii) your right to revoke your consent to the provision of personal information, and (iii) the means by which you may revoke such consent. We share information to protect our own legitimate business interests when we believe in good faith that we are required or permitted by law to do so. For example, we may share your personal information as needed to support auditing, compliance, and corporate governance functions; to combat fraud or criminal activity; to protect our rights or those of our affiliates and users; or as part of legal proceedings affecting EZVIZ. §to our vendors for their own analysis and research. 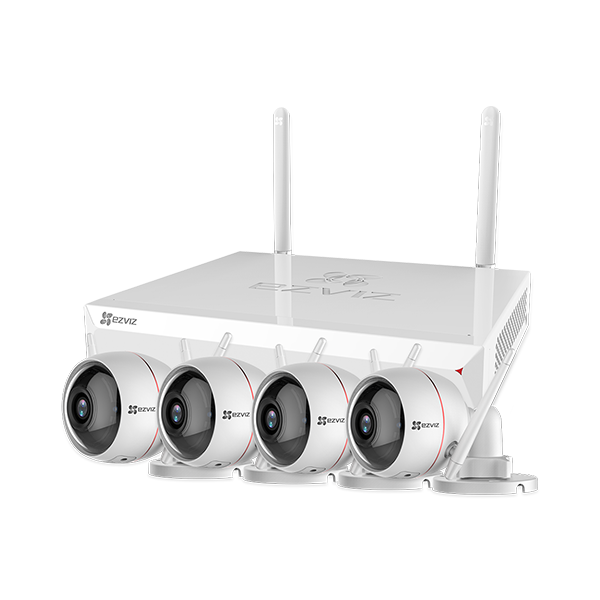 EZVIZ has implemented commercially reasonable administrative, technical, and physical security controls that are designed to safeguard personal information. We also conduct periodic reviews and assessments of the effectiveness of our security controls. 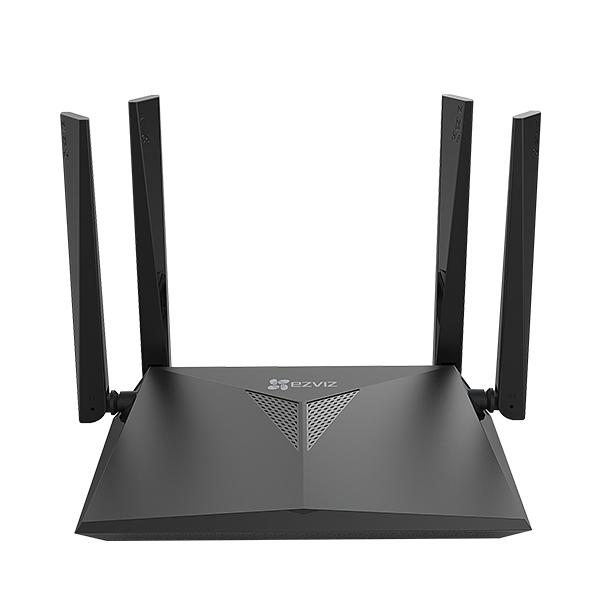 Notwithstanding the above, no method of transmission over the Internet, or method of electronic storage, is 100% secure. Therefore, EZVIZ cannot guarantee that your personal information is under absolute security with the existing security technology. 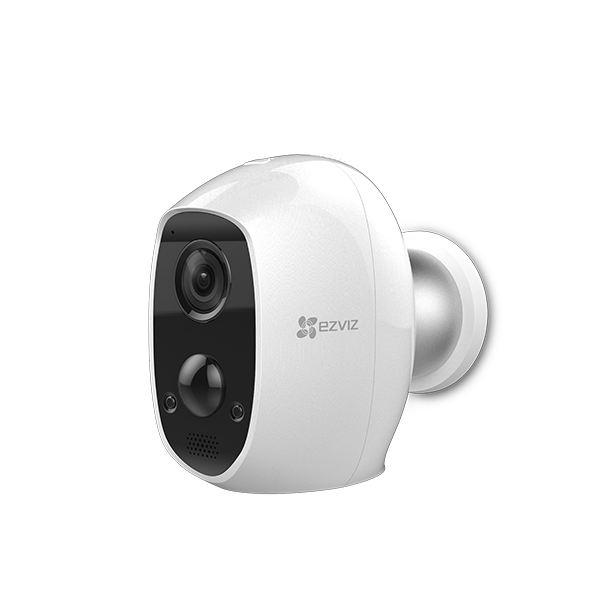 If you have any questions about the security of our EZVIZ Services, Please Contact Us. EZVIZ generally stores your personal information on EZVIZ’s servers which is established upon third-party servers, including Amazon Servers, until you delete or edit it, or for as long as you remain a EZVIZ customer in order to provide you with the most relevant offers. Keeping your personal information current helps ensure that we provide you with the most relevant offers. You can access, update or delete your personal information via your Account profile. We are ready to assist you in managing your subscriptions, deactivating your account, and removing your active profile and data. Your personal information might not be immediately deleted, as we are required to retain records relating to previous purchases through our EZVIZ Services for financial reporting and compliance reasons pursuant to applicable laws. In addition, because of the way we maintain certain services, after you delete certain information, we may temporarily retain backup copies of such information before it is permanently deleted. Our EZVIZ Services may allow you to publicly post or share information, communicate with others, or otherwise make information accessible to others. Prior to doing so, please read our Terms of Service carefully. All the information you post, share, or communicate may be accessible to anyone with Internet access, and any personal information you include may be read, collected, and used by others. We may permit others to link to the EZVIZ services or to post a link to their website. We do not endorse these websites and are not responsible for other websites or their privacy practices. Please read their privacy policies before submitting information. We think that you benefit from a more personalized experience when we know more about you and your preferences. However, you can limit the information you provide to EZVIZ as well as the communications you receive from EZVIZ through your Account preferences. You will only receive commercial e-mails from us if you have granted prior express consent or if sending those e-mails is otherwise permitted, in accordance with applicable laws. You may choose not to receive commercial e-mails from us by following the instructions contained in any of the commercial e-mails we send or by logging into your Account and adjusting your e-mail preferences. Please note that even if you unsubscribe from commercial email messages, we may still e-mail you non-commercial e-mails related to your Account and your transactions on the EZVIZ Services. You may manage how your mobile device and mobile browser share certain device data with EZVIZ by adjusting the privacy and security settings on your mobile device. Please refer to instructions provided by your mobile service provider or the manufacturer of your device to learn how to adjust your settings. 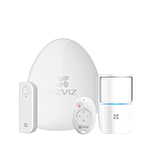 EZVIZ does not intend that any portion of its EZVIZ Services will be accessed or used by children under the age of 18, or equivalent minimum age in the relevant jurisdiction and such use is prohibited. 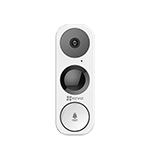 Our EZVIZ Services are designed and intended for adults. 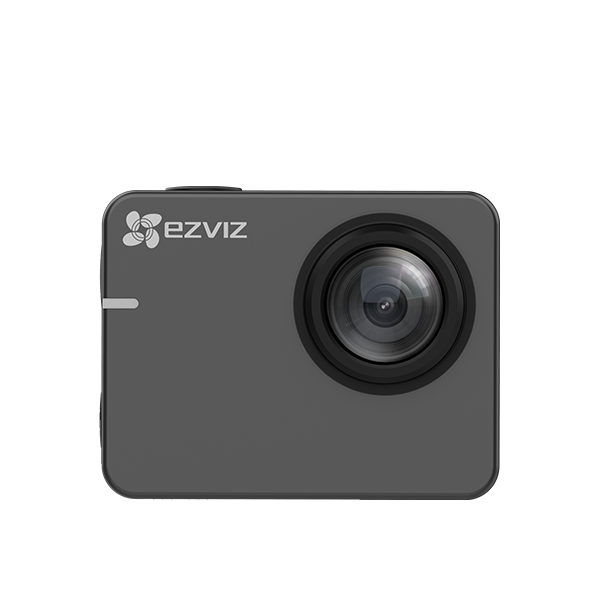 By using the EZVIZ Services, you represent that you are at least 18 years old, or above the equivalent minimum age in the relevant jurisdiction and understand that you must be at least 18 years old, or above the equivalent minimum age in the relevant jurisdiction in order to create an account and purchase the goods or services advertised through our EZVIZ Services. If we obtain actual knowledge that an account is associated with a registered user who is under the age of 18 years old, or equivalent minimum age in the relevant jurisdiction, we will promptly delete information associated with that account. If you are a parent or guardian of a child under the age of 18, or equivalent minimum age in the relevant jurisdiction and believe he or she has disclosed personal information to us please Contact Us. A parent or guardian of a child under the age of 18, or equivalent minimum age in the relevant jurisdiction may review and request deletion of such child’s personal information as well as prohibit the use thereof. If you are located in the EEA, then whenever EZVIZ shares your personal information with a third party outside the EEA, or transfer such information to a third party outside the EEA, EZVIZ will put in place contractual protections, approved by the European Commission, to secure your information. A copy of those contracts can be obtained by Contact Us . We have deployed local servers in Russia. If you are located in Russia, your personal information will be stored in the local servers instead of our four overseas data centers. Please provide: (i) your name (or nickname), your country or region of residence and your preferred method of contact; and (ii) the details of your request or comment along with any corresponding website links or pages.